Jeremy Stockwell grew up in the construction industry. Following in the footsteps of his father, Jeremy began working in residential and commercial construction from an early age. Accumulating experience in a variety of industries – petrochemical and heavy civil engineering included – Jeremy decided to further his education by obtaining a degree in Safety Sciences. That decision catapulted him into the safety profession. 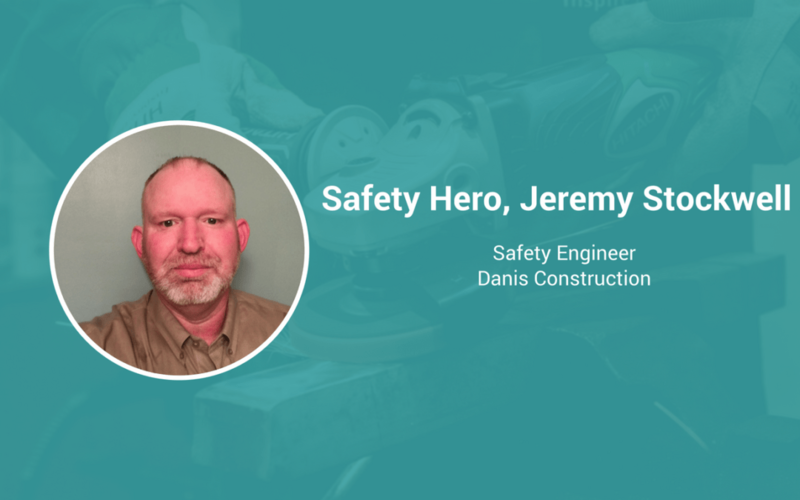 Currently, Jeremy is a Safety Engineer at Ohio-based Danis Construction. A valued member of the team and a beloved family man, we are proud to share Jeremy’s story. I enjoy seeing progress, which is why I chose construction. You can see what you’ve built and I take pride in that. Safety was a natural progression. When I was looking to get a university education, I thought that safety was the best path for me to take. Given my years in construction, I knew a lot about safety, but I wanted to formalize my knowledge through a formal education. You have to be able to talk WITH your people, not AT your people. I can preach safety at everyone, but until we have a heart-to-heart conversation about the importance of safety and understand the needs of each employee, it won’t matter. Each employee also needs to understand that safety professionals are there to help. I’ve been fortunate enough that I’ve never had an incident happen on my watch. But with the advent of social media, I hear about fatal incidents that happen across the country, and those impact me. I always tell our people, “No one that dies [on the] job goes into work expecting not to come home. They all pack a lunch.” That perspective keeps us focused, and reinforces the importance of what we are doing. Safety is not a stand-alone function. Safety shouldn’t be called safety, it should just be called “the right way” to do things. Safety is integral to the success of everything a company does. I have an ability to talk with anyone. I can usually find common ground with anyone, and that helps me connect with them. It doesn’t matter where you are from, what you do, or what you’re like, I do my best to connect with them. That there was no differentiation between safety, quality, and production, and that organizations embraced each of those functions as one part of the same goal: a better organization.